It’s spring! Finally... after the freezing winter that has just passed we now enter spring. Only this weekend was cold, and wet. Spring will be here soon, I hope. Last weekend when I cooked up my feast, I also cooked some sticky date puddings. A bit late considering winter’s over, but I needed to make it just once this year. I like making dessert like this once a year – it makes them more special. As my brother said “I want to remember this taste so I look forward to it next year”. That was his reasoning behind having one piece. I had three. Over a few days mind you. Yeah I need to go for a run. This recipe itself is a special one too. I'm not sure who came up with it or the history behind it, only that about 6 or 7 years ago, a girl I used to work with bought this pudding in to work. We devoured it, it was amazing. I begged her to give me the recipe but she said her mum gave the recipe to no one. I eventually got it. It’s hand written on a piece of paper title “Icky Stickly Licky Pudding”. Traditionally this is made in a cake tin, but as always, I prefer muffin tins because then I can freeze leftovers. This never happened because they all disappeared in a few days. Preheat the oven to 150°C. Grease well a 24cm round cake tin or 12-hole muffin tin. In a small saucepan, add the dates and water and bring to the boil. Cook until the dates have absorbed the water and are soft and mushy. Using a food processor of whiz, process the dates until they are a smooth consistency (this is optional, some prefer to keep the texture of the dates). Return the mix to the saucepan, add the bicarb soda and stir – the mix will expand. In a large bowl, add the butter and sugar and beat until pale and creamy. While beating, add the eggs one at a time,then slowly add the flour, continuing to beat until all ingredients come together. Add the date mixture and mix in with a spoon. Pour the mix into the tin, and bake for 1 hour if using the cake tin, and 40 minutes if using the muffin tin, or until a skewer comes out clean when tested. To make the sauce, heat the butter, sugar and cream in a small pot over a medium heat, until the sugar has dissolved. Note – this sauce is super rich so you only need a small amount. Serve the cake warm with a drizzle of the sauce and a generous amount of ice-cream. Leish makes hers in a similar manner, I think based off an old CWA recipe. It's making me salivate just looking at those pictures! 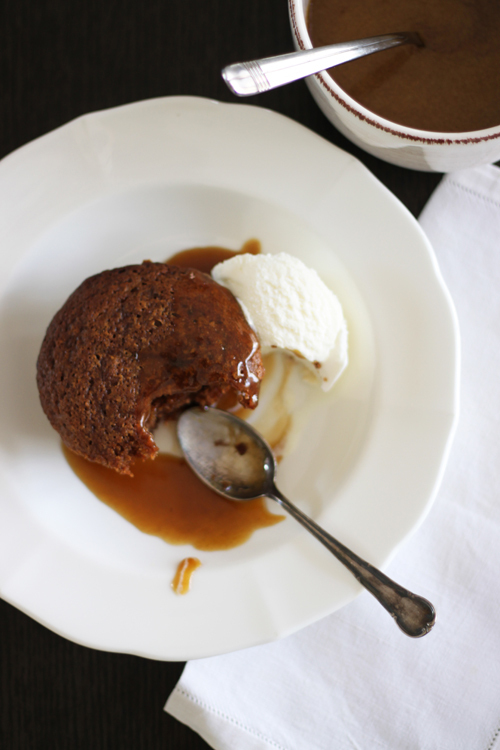 This looks great: I love sticky date pudding! 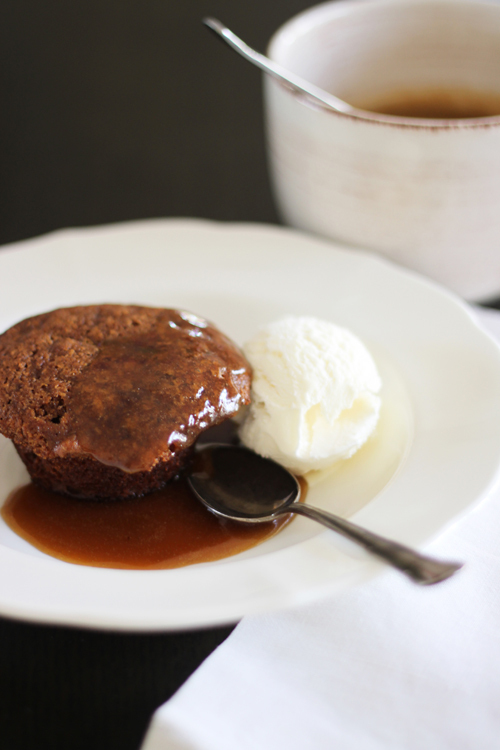 Sticky date pudding already was the food of angels. How long do they freeze for? Not that they would last in my household either.